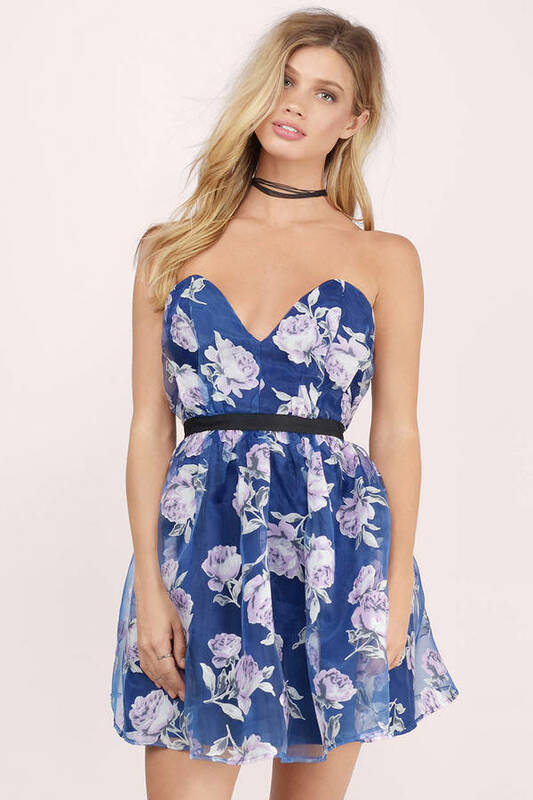 Check out Tobi's Sweetest Drop Skater Dress Strapless skater dress with low sweetheart neckline, cinched waistline, short mini length, and graphic floral print chiffon overlay. Wear to a shower or birthday party. Available in blue floral. Strapless skater dress with low sweetheart neckline, cinched waistline, short mini length, and graphic floral print chiffon overlay. Wear to a shower or birthday party. Available in blue floral. Blue Floral modeled on a size Small.